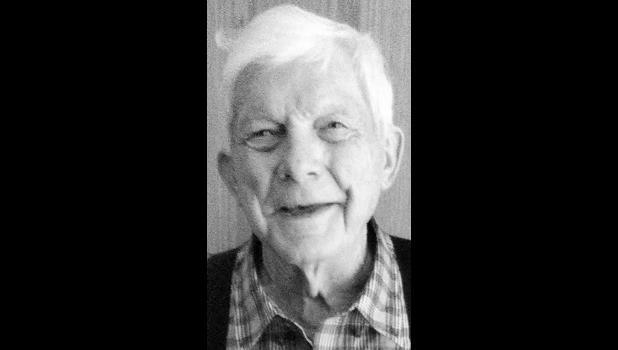 Elbert “Bert” Page, 88, Hoyt, died Wednesday, Feb. 13, 2019, at Stormont-Vail Hospital in Topeka. He was born Sept. 1, 1930, at Beverly, the son of Harvey and Helen McIntyre Page. Mr. Page was a veteran of the U.S. Navy Reserve. He owned and operated Bert’s Painting in the Hoyt and Topeka area for several years. He was a member of Hoyt United Methodist Church. He married Dorothy Harvey Baker in June of 1966. She died Aug. 31, 2008. He was also preceded in death by his parents and a daughter, Stacy Ellen Page. Survivors include two sons, Scott Page and wife Carola, Stuttgart, Germany, and Robert A. Page and wife Monissa, St. Helena Island, S.C.; a daughter, Michelle Bosworth, Topeka; a stepdaughter, Virginia Hood and husband Pat, Leavenworth; a brother, Dwight Page and wife Keiko, Los Angeles, Calif.; a sister, Pat Fleeman, Colorado Springs, Colo.; 13 grandchildren; and many great-grandchildren. Funeral services will be held at 10 a.m. Monday, Feb. 18 at Chapel Oaks Funeral Home in Hoyt. Burial with flag presentation will follow in Hoyt Cemetery. Mr. Page will lie in state after 10 a.m. Sunday at the funeral home, where family and friends will meet from 4 p.m. to 6 p.m.
Memorial contributions may be made to Hoyt United Methodist Church, sent in care of Chapel Oaks Funeral Home, P.O. Box 280, Hoyt, KS 66440.